But can you Watusi without sugar? I think not. 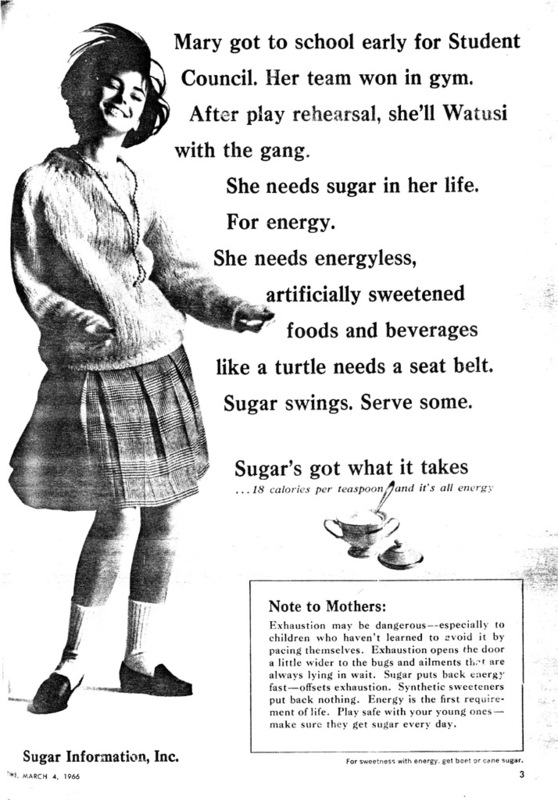 It is always interesting to find these old ads that are completely contradicted by science.